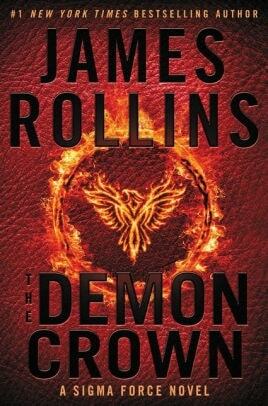 To save mankind’s future, the members of Sigma Force must make a devil’s bargain as they join forces with their most hated enemy to stop an ancient threat in this gripping adventure from #1 New York Times bestselling author James Rollins. Off the coast of Brazil, a team of scientists discovers a horror like no other, an island where all life has been eradicated, consumed, and possessed by a species beyond imagination. Before they can report their discovery, a mysterious agency attacks the group, killing them all, save one: an entomologist, an expert on venomous creatures, Professor Ken Matsui from Cornell University. 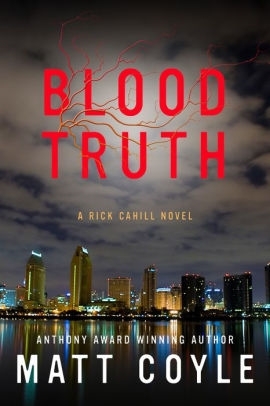 Rick Cahill has long feared the truth about his own blood—the blood of his father coursing through his veins. When a long-hidden safe unlocks clues about why his father was kicked off the police force twenty-seven years ago and then spiraled into an early drunken death, Rick determines to find the truth even if it proves the one thing he’s always feared. 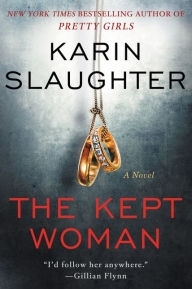 But as he grapples with his father’s past, the woman he still loves pleads with him to find out if her husband is having an affair—or is involved in something much more sinister. Could the truth send her back into Rick’s arms? Would he have a last shot at happiness? He may never get the chance to find out, as killers who will do anything to protect their secrets lurk in the shadows. Husbands and wives. Mothers and daughters. The past and the future. Secrets bind them. And secrets can destroy them. The author of Pretty Girls returns with an electrifying, emotionally complex thriller that plunges its fascinating protagonist into the darkest depths of a mystery that just might destroy him. With the discovery of a murder at an abandoned construction site, Will Trent of the Georgia Bureau of Investigation is brought in on a case that becomes much more dangerous when the dead man is identified as an ex-cop. Studying the body, Sara Linton—the GBI’s newest medical examiner and Will’s lover—realizes that the extensive blood loss didn’t belong to the corpse. Sure enough, bloody footprints leading away from the scene indicate there is another victim—a woman—who has vanished . . . and who will die soon if she isn’t found. A lovable con woman and a disgraced detective team up to find a redneck reality TV star in this raucous and razor-sharp new novel from Carl Hiaasen, the bestselling author of Bad Monkey. Merry Mansfield, the eponymous Razor Girl, specializes in kidnapping for the mob. Her preferred method is rear-ending her targets and asking them for a ride. Her latest mark is Martin Trebeaux, owner of a private beach renourishment company who has delivered substandard sand to a mob hotel. But there’s just one problem: Razor Girl hits the wrong guy. Instead, she ends up with Lane Coolman, talent manager for Buck Nance, the star of a reality TV show about a family of Cajun rooster farmers. Buck Nance, left to perform standup at a Key West bar without his handler, makes enough off-color jokes to incite a brawl, then flees for his life and vanishes. 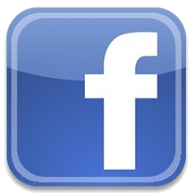 Now a routine promotional appearance has become a missing persons case. And Andrew Yancy, disgraced detective-turned-health inspector, is on the job. That the Razor Girl may be the key to Yancy’s future will be as surprising to him as anything else he encounters along the way—including the giant Gambian pouched rats that are haunting his restaurant inspections.